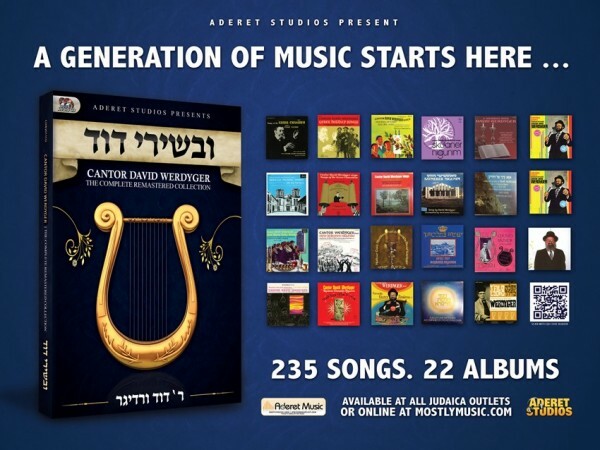 While the Werdyger name graces many an album cover, it is family patriarch Chazan Reb Dovid Werdyger who has the most recordings to his credit. Reb Dovid’s musical talent was evident at an early age, when he was first appointed soloist in the choir of the Eizik Yeikeles Synagogue in Krakow at age six. Just six years later Reb Dovid was invited by Reb Yankel Talmud to become the soloist for his prominent choir, singing before the Gerrer Rebbe, the Imrei Emes, and thousands of his chasidim in the town of Ger. Singing was not just a profession for Reb Dovid, his melodious voice literally saved his life. Taken from the Podgorze ghetto in Poland, Reb Dovid was one of just forty men saved from a firing squad after his rendition of Kel Molei Rachamim moved a Nazi commandant so deeply that Reb Dovid’s life was spared. Once in America, Reb Dovid’s music continued to inspire, in Shuls, concert halls and on radio programs, filling Yiddishe homes and hearts with hartzige music that kept the flame of Yiddishkeit burning strong, particularly for those who had endured the horrors of the war and were attempting to pick up the pieces of their shattered lives. 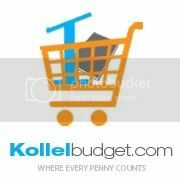 Reb Dovid’s first album, Tefillah L’David, released in 1959, was so well received it sold out its entire first run. 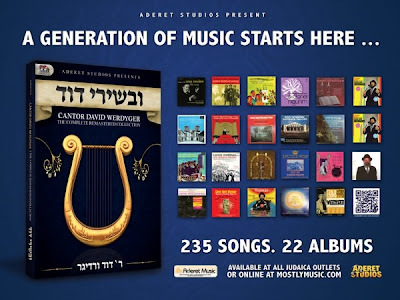 Over the years, Reb Dovid’s music has brought the beauty of Yiddishe music to countless thousands and his body of work encompasses not only a legacy of music continued by many of his talented offspring, but a staggering thirty albums as well. Fifty years after his rendition of Kel Molei Rachamim saved his life in the Krakow-Plaszow concentration camp, Reb Dovid once again stirred the soul with his rendition of the same tefilla, this time at the ninth Siyum Hashas in memory of the six million who died al Kiddush Hashem. 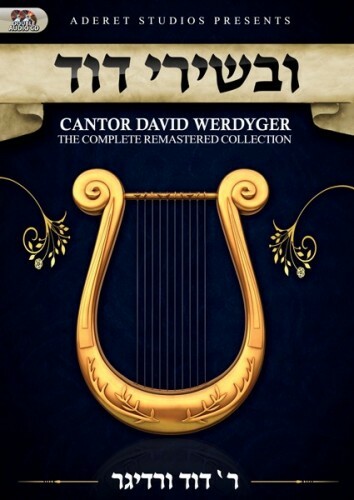 At long last, the beauty, the purity and the varmkeit of Reb Dovid’s magnificent voice can finally be appreciated to its fullest with a completely remastered collection of some of his most magnificent recordings. Recapturing the hartz and neshoma of Chasidic music, Reb Dovid will literally transport you back to a time and place where music was the language of the heart and a true expression of the beauty of Yiddishkeit.